Health is vitally important to all of us. We have all surely heard at one time or another the old adage that ‘your wealth is your health.’ Yet, for many of us, this concept of health stretches only as far as the physical limits of the human body. Illnesses like cancer and heart disease are front and centre when we think about health problems, but we rarely stop to consider several other, equally dangerous and distressing ailments – mental health issues. People are afraid of talking about mental health problems – afraid that acknowledging these issues will lead them to be considered ‘crazy’ and to be shunned by society – or worse still ignored. Yet, one in every four people suffers from a mental health problem in their lifetime. The prevalence of these illnesses coupled with people’s general aversion to discussing them has led to the extensive bombarding of society with falsehoods and misrepresentations surrounding mental illnesses. Several illnesses in particular have become targets of inaccurate portrayal in the public consciousness. It is only when we understand these diseases properly that we can address them as a society, and bring an end to this insidious, malignant problem. One of the most common of all mental illnesses is depression. It can be a temporary problem – after a traumatic experience or after giving birth, for example – or it can linger for years and even a lifetime. Depression causes people to have a lack of energy and motivation, to feel constant sadness, and to not want to engage in society. A common myth with depression is that it is a personal choice – that an individual can in some way decide to ‘snap out of it’ and start feeling normal again. In truth, depression is a result of complex brain chemistry and hormonal imbalances. It is a disease with a physical root cause, every bit as much as cancer is. It is not possible to ‘just feel better.’ People with depression are not looking for attention or deliberately being miserable. It takes a long time to get a handle on depression, often through medication and therapy. It can affect anyone at any time, and people who experience it deserve patience and understanding. You never know when the same problem could come knocking on your door. Another common and harrowing issue is addiction. Whether it be drugs, alcohol, gambling or otherwise, some people find themselves totally dependent on a substance, activity, or commodity, to the point that it restricts their ability to have a normal life. One of the most pervasive, and judgmental, myths about addiction is that it implies some kind of personality failing in the addict, who could really just stop cold turkey if they wanted to. This is simply not the case. Addiction is a physical illness caused by chemical imbalances in the brain. It can literally change the structure of a person’s brain. There are many addicts out there with a profound desire to beat their addiction but who are held back by their own physiology. It is a vicious circle that causes extreme distress for the addict and the people close to him or her. Addiction requires medication, therapy and often rehabilitation, and even then it can take a number of attempts for an addict to regain their control on life. Most addicts will never be fully free of their issue, even if they do learn to live a happy life despite it. These people deserve respect and assistance, not judgement. 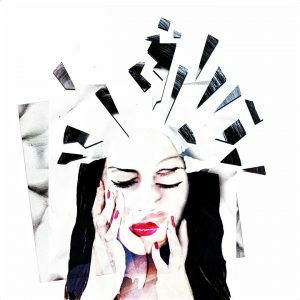 A common myth – and one frequently compounded in the media and entertainment industries – is that there is some kind of relationship between dissociative identity disorder (DID) and schizophrenia. This is not at all true. DID, which used to be known and split personality disorder or multiple personality disorder, is a profound mental health issue where a person has several distinct personalities or parts of their personalities walled off from each other. There is no association between them and no overlap, yet all are representative of the individual’s reality. In short, it is akin to having multiple distinct, real identities living in the same body. DID is thankfully a relatively rare issue, but it requires a great deal of medical care and often prolonged hospitalization to treat. Schizophrenia is, sadly, more common. Schizophrenia is different than DID in that sufferers do not have identity confusion. They have one personality, they know who they are, and there is no ambiguity. Instead, schizophrenics tend to experience profound paranoia, believing others are plotting against them or that there is some great conspiracy in their world. Their own personality is not at issue – their problem arises from their understanding and perception of the world around them. As such, schizophrenia is utterly different from DID. Despite what media and films may say, most schizophrenics are not violent and are no danger to anyone, although in some extreme cases they can be. Schizophrenia is treatable and a disease that many people in our communities live with. As with all of these issues, the only real way to help these people in their struggle with their illness is to understand it and to give them the time and consideration they deserve.